This blog is created by me, about my life... particularly the bits I love to do! I am a secondary teacher, specializing in Biology and Science. I also coach the girls basketball teams at school. I'm also really lucky that Brody is allowed to come to school with me. He comes a couple of days a week, and just love it! He gets to lick the floor (yum food scraps!) and play with my students all day long. I am also really into my Dog sports, with my fantastic little boy Brody, and new addition Chace.... See below! Brody is half Siberian Husky, half Border Collie. 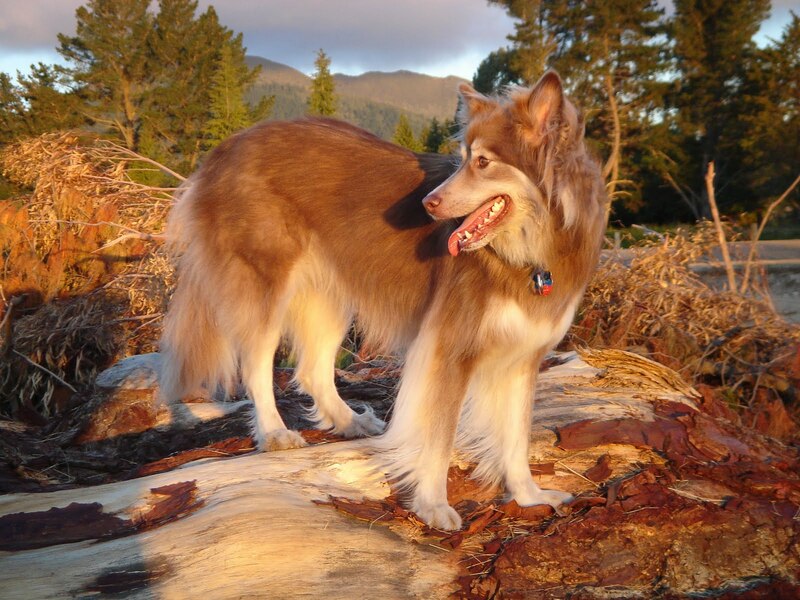 He was born November the 11th, 2005 in Christchurch New Zealand, bred by Johanna Salisbury and Janice Kirk of Tevra Kennels. 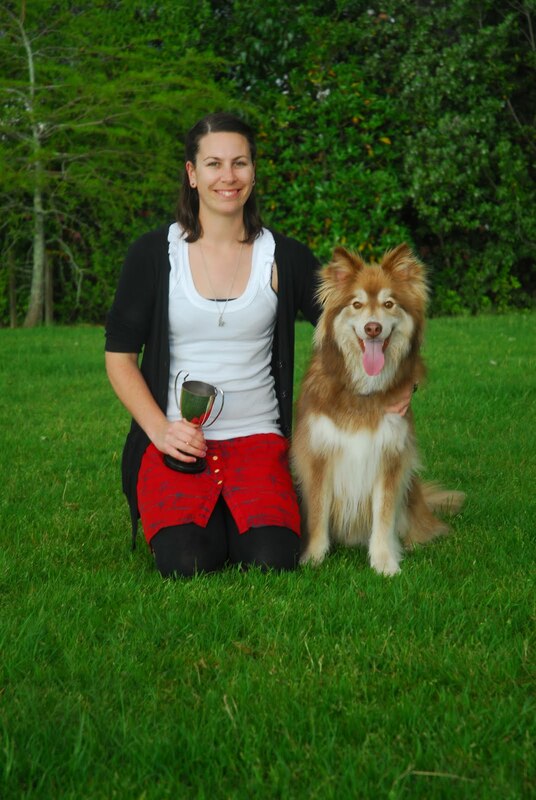 His Father Bullet is a NZ Obedience champion, and is has competed in Australia. 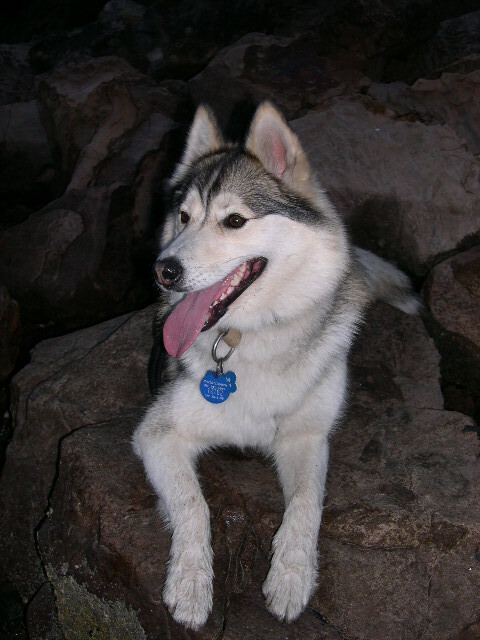 Bullet is 1/4 Siberian Husky, 3/4 Border Collie. 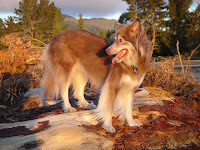 Brody's mother is Storm, a 3.4 Siberian Husky, 1/4 Border Collie. Brody is my first dog, and has a great personality.... he is enthusiastic, happy, bouncy, and just loves being around people and doing pretty much anything! Click here to watch a video about his first 5 years. 'Weyahead Chace 'N Chocolate' is a full pedigree Border Collie, but she is an unusual colour - chocolate merle. She was born on the 27th of September 2010. Brody and I started obedience with Puppy Preschool, before going to Dog Sense with Rachel and Lynda from North Shore Dog Training Club. At NSDTC, after moving through the domestic obedience classes, and despite Brody being a naughty dog... we decided to have a go at competitive obedience. It has taken a while now, but we are slowly starting to get the hang of this obedience thing! Recently we have won out of Special Beginners, and are currently competing in Novice. 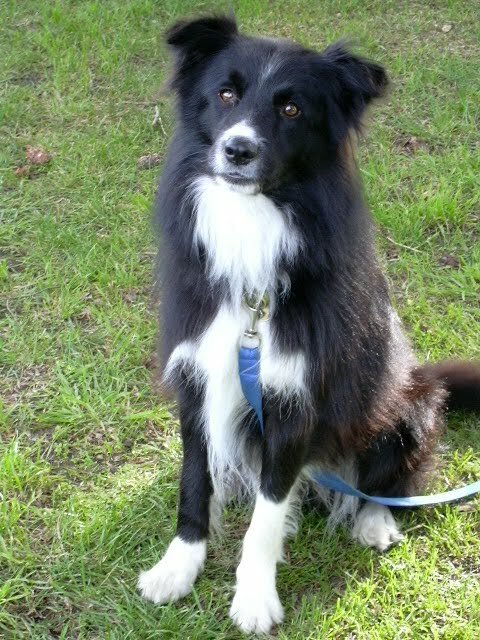 Brody and I had to start agility a little later than most, as Brody could not be trusted off lead! 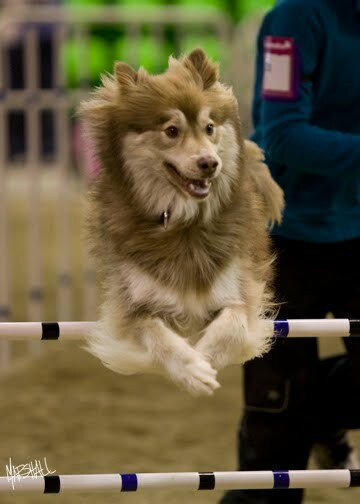 We both really enjoy agility, the relaxed social atmosphere, and the chance to run around like crazy people / dogs! In 2009 Brody won out of Elementary, so we are competing in Starters, Novice and Jumpers C.
At Nationals in 2009 we had a clear run in Starters, which was the my goal. 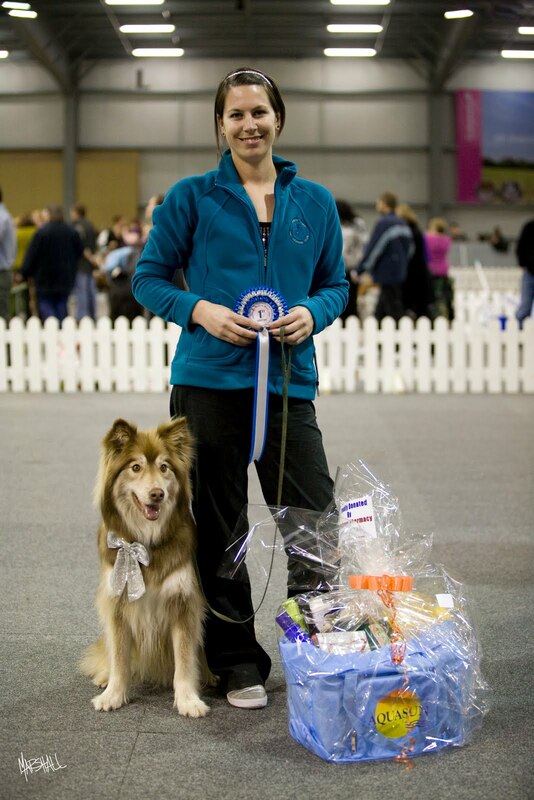 Recently Brody has also been training / competing with Amir in the Junior Handler competitions. After watching Jan perform with her Si-bord Moss, I decided the Brody and I should have a go at this new doggy dancing thing. Off course being a total show off, Brody was a natural. Me however.... not such a natural at the dancing thing!! But we both totally love it, and have been luck enough to do quite well at it. Our first National competition resulted in an Elementary Paws N Music Champion win, and now we are developing our next routine aiming for Nationals and NDTA 2010. As a member of Choredography Connection, I instruct several trick classes, and help other people with their routines. We also do displays at doggy events, like Bark in the Park and the Wag N Walk.